JCL Driver Training involved in transport for over thirty years in europe and other continents. Over this time using and training on 4x4s, HGV general haulage, tank transport, fridge, box, curtain sides, tilts, drawbar and low loaders. Located in the North West. J C L Driver Training is Based on experience in training and assessing drivers within companies, looking at Health & Safety at work related issues, safe use of vehicles and equipment, vehicle checks, relevant law, tachograph and 'o' licence preservation. Experiences in teaching Safe and Fuel Efficient Driving and 4x4 off-road driving. Working with many Small, Medium and Large Blue Chip companies throughout the UK. Work has involved developing drivers skills and knowledge based on drivers responsibillities covering their duty of care. Company goal is to deliver quality driver training and transport knowledge, with an understanding of drivers responsibilities, that is relevent to the customer and drivers needs. Train the Trainer driver assessor courses. SAFED (Safe and Fuel Efficient Driving) Lgv & Vans. LANTRA 4x4 off-road / on-road techniques. Training for the DVSA B+E Test car and trailer. Most of the training courses are carried out at the clients locations. Helping to reduce company risks, preserving assets and developing drivers skills. Driving Vehicle Standards Agency: Approved Driving Instructors. Driving Vehicle Standards Agency: Fleet Registered Instructors. Driving Vehicle Standards Agency: Registered LGV Instructors C - C+E. SAFED Train the Trainer for LGVs / Vans. SAFED LGV / Van Trainers. M.A.N Trucknology Driver Training Certificate. Certificate of Professional Competence in National / International Road Haulage Operations. 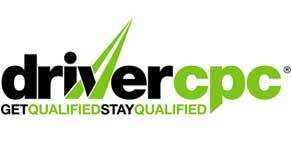 RoSPA Advanced Diploma in Driver Instruction. Lantra 4x4 Off-road Driver Trainer. Lantra Health & Safety in winching and recovery. 4x4 and HGVs off-road driving. Member of the Institute of Advanced Motorists Commercial. 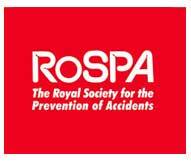 Member of the RoSPA Advanced Drivers. Member of the Motor School Association of Great Britian.